What is the Central Health Downtown Campus? The Central Health Downtown Campus — former Brackenridge Campus — is a vital community asset that connects the new University of Texas Medical District — including the new Dell Seton Medical Center, which replaced UMC Brackenridge in 2017 — with the Texas State Capitol Complex and Downtown Austin, including the city’s envisioned Innovation Zone. 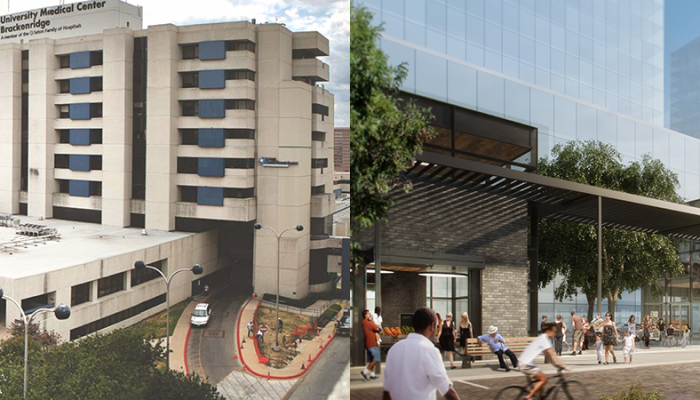 As planned improvements are made to Interstate 35 and Waller Creek, and in conjunction with a proposed Austin urban rail system, the Downtown Campus can be a vibrant and sustainable hub for a healthy and innovative community. Exciting changes are happening on and around Central Health’s Downtown Campus. 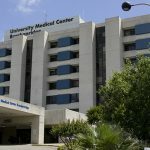 The new Dell Medical School at The University of Texas at Austin is growing and expanding, Seton has moved into its new state-of-the-art Level One hospital – the Dell Seton Medical Center at UT, and the area is the hub of the Capital City innovation District. 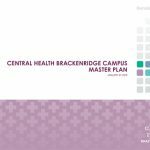 A lease between Central Health and 2033 LP will add more energy to this vibrant area, jumpstarting the redevelopment of the former Brackenridge Campus to immediately generate revenue to pay for health care services in Travis County. What does that mean for the campus? 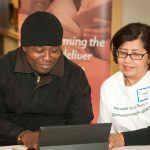 Central Health’s Board of Managers is looking for innovative ways to generate revenue to fund our core mission – providing access to health care for people with low income. Leasing a portion of its Downtown Campus to the local nonprofit 2033 LP is phase one. The lease will result in $1.425 million for Central Health to fund health care services in Travis County. And it will be the beginning of a new, exciting mixed-use development in downtown Austin with a focus on medical and health innovation, job growth, retail and more.